Have unused land? Need some additional revenue? Rented up to your max capacity? Janus International’s Moveable Additional Storage Structures could be exactly what you’re looking for! These movable external storage units are a fantastic value-add solution to either your existing self-storage facility, or on their own. MASS units are constructed from the same durable components as traditional Janus storage units, so common problems like rusting and leakage issues you usually find with portable containers is a thing of the past. 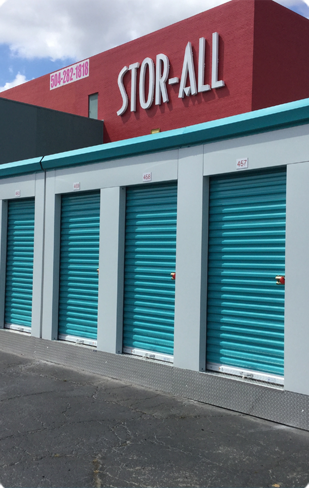 MASS units are designed to seamlessly blend into your current storage setup both functionally and aesthetically, not to mention the fact that drive-up storage can spike up your rental rates due to demand and convenience. MASS units work in all kinds of situations! Traditional ground-up storage construction takes time – there’s no getting around it. As we all know, time is money and delays are a money pit! That’s where MASS units make a difference. These moveable units are technically classified as equipment, which helps you bypass the lengthy permitting and zoning processes (of course every county is different, so be sure to check your local ordinances just in case). Under the new tax code revision, these particular same storage solutions are generally eligible for 100% deduction after just one year! That’s literally money in your pocket. Check out the video below to see what John Manes of Pinnacle Storage Properties has to say about adding relocatable storage units from Janus to one of his facilities. Another perk of having MASS units is they’re not confined to one space. Want to move them around? Not a problem! These relocatable storage structures are easily movable with a 5,000 lb forklift outfitted with extended forks. Once they’re in the position you want, all you have to do is take them off the forklift and secure them to the ground. If the ground isn’t completely level, that’s not a problem! MASS unit bases can be adjusted to accommodate minor slopes. Not only can MASS units fit into unique spaces all around your property, but they can also offer a serious advantage when it comes to changing up your unit mix. Drive-up storage is a huge perk for tenants; not having to haul their heavy items such as kayaks or couches through an entire interior facility to their unit is a big relief! If you place MASS units in your exterior lot, the tenants can instead pull their vehicles right up to the unit itself and save themselves a rough backache.